This topic contains 1 reply, has 2 voices, and was last updated by Sauna Forums 6 months, 2 weeks ago. What was happening in 1990? Well to begin with: the Berlin wall was coming down, The Gulf war, and I was building my first sauna for a great Jazz drummer who was seeking his quiet time. 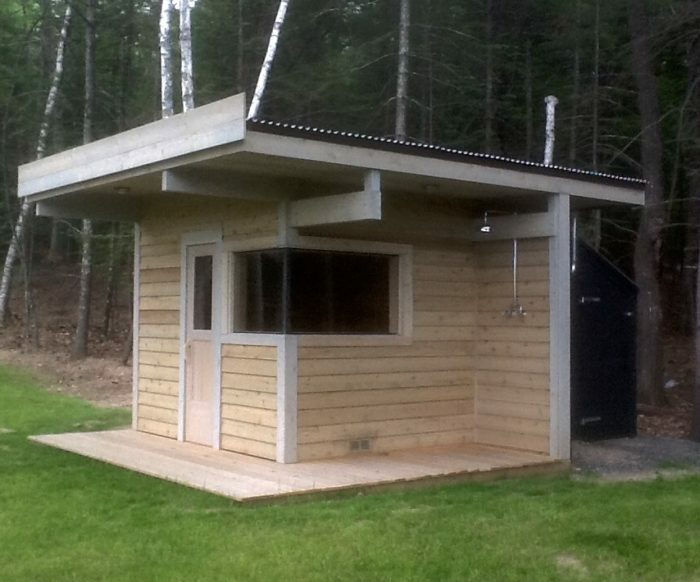 29 years on and 100’s of hand built saunas later, I am happy to say that I love creating saunas and being in the field. I sauna once or twice every week, I extol the benefits and enjoy great health. I have only heard of one tragic loss (which was years ago) when a senior male had a heart attack in a public sauna somewhere in England. The subsequent scurrying of insurance companies was so invasive that a new regulation prohibited the use of water to make steam in public saunas. Very frustrating right? The tremdous positive testimonies are however much more heartening: “I cured myself from Lymes” my cancer is in remission thanks in part to sauna” “ my Hep C is gone” “ I never get flue any more” “ I have an excellent immunity thanks to sauna bathing” my sauna saved my life” just to recall a few. So great to have you here!